Buying wheels and tires is a major investment so you want to be sure that what you are buying will actually fit your vehicle and not cause problems. Before you buy you have to determine if the rims will clear your disc brake set-up. Will the tires rub on the frame, suspension or worse yet, the body. 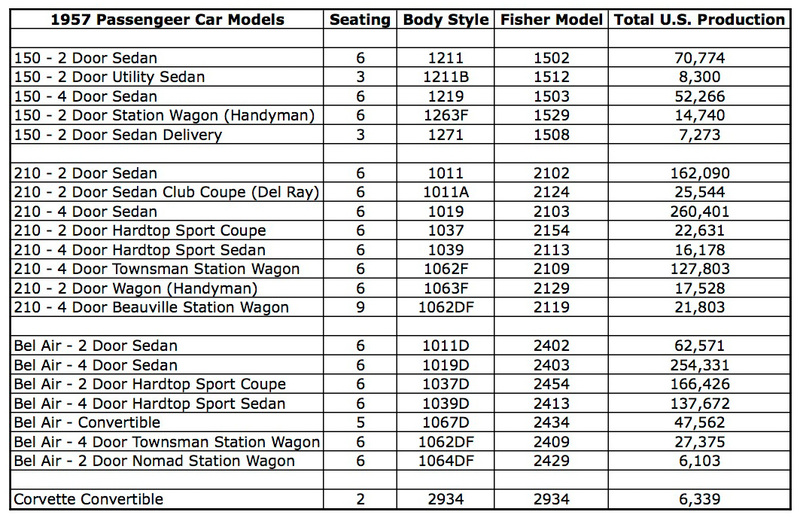 To help you answer all these questions we put together this chart for measuring the actual clearance on your car. All you have to do is plug in the measurements indicated and you will be able to choose wheels and tires that will not only look great but will fit perfectly. Click on the pic to download the form for printing. 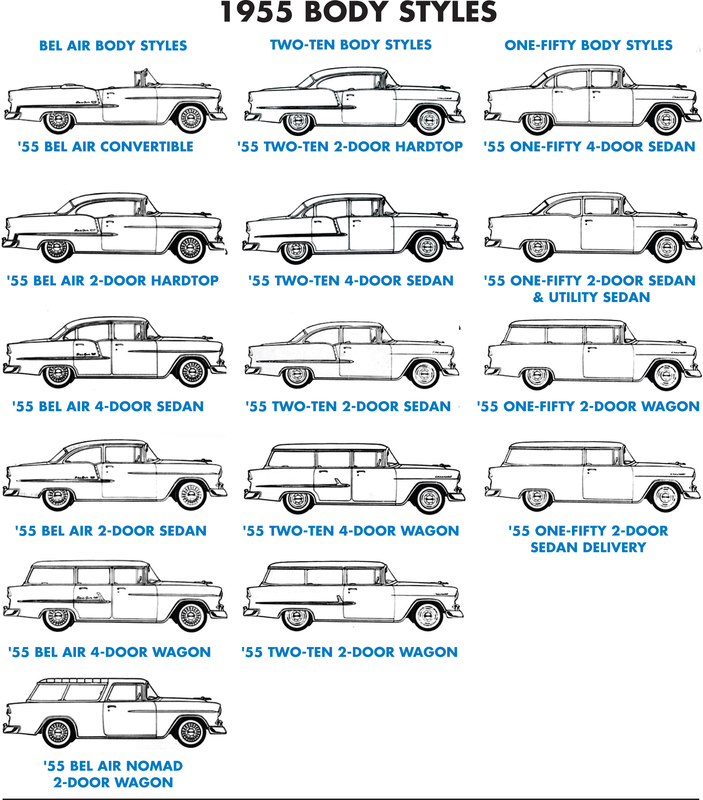 So you want to replace the transmission in your classic? How do you know what you want to swap in place of your original will work? Are modifications necessary? 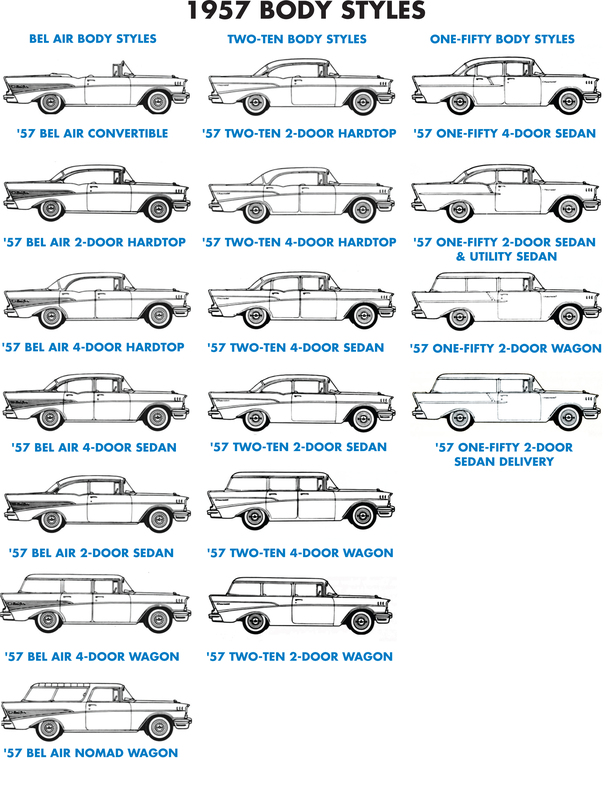 This handy dimension chart will help answer some of those questions. 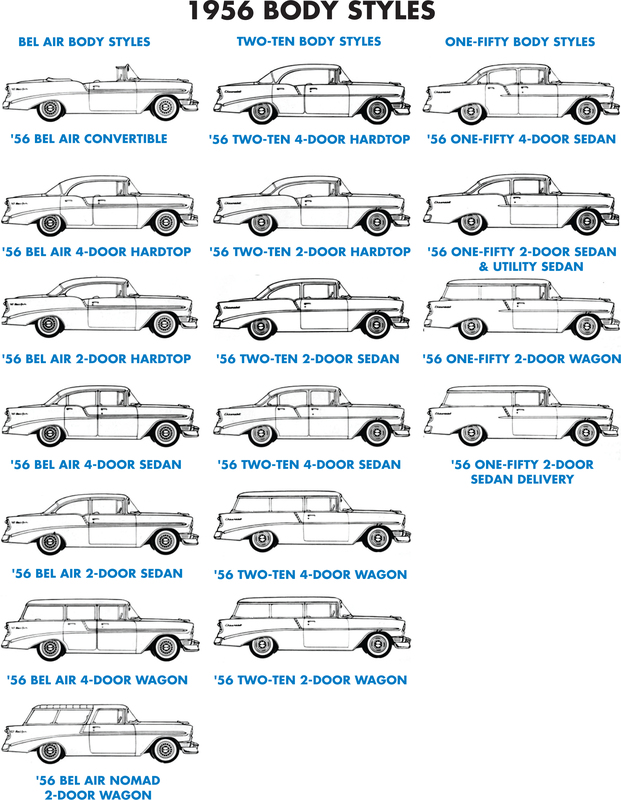 We are often asked how to identify the various models or body styles of 1957 Chevy’s. This handy chart makes it almost foolproof. 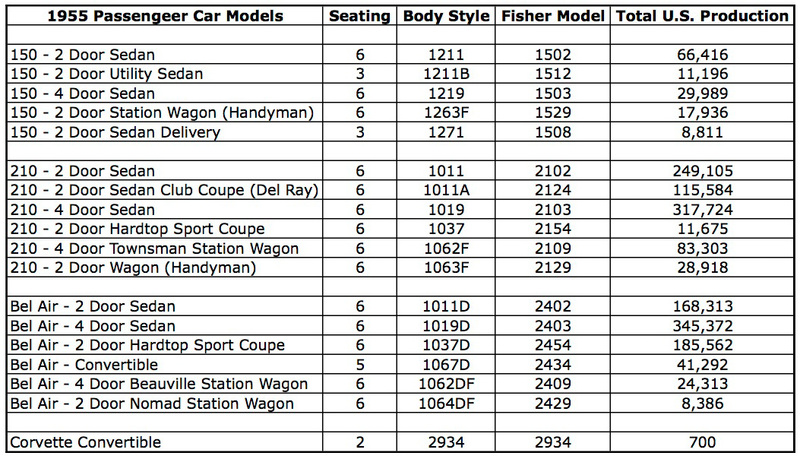 We are often asked how to identify the various models or body styles of 1956 Chevy’s. This handy chart makes it almost foolproof. 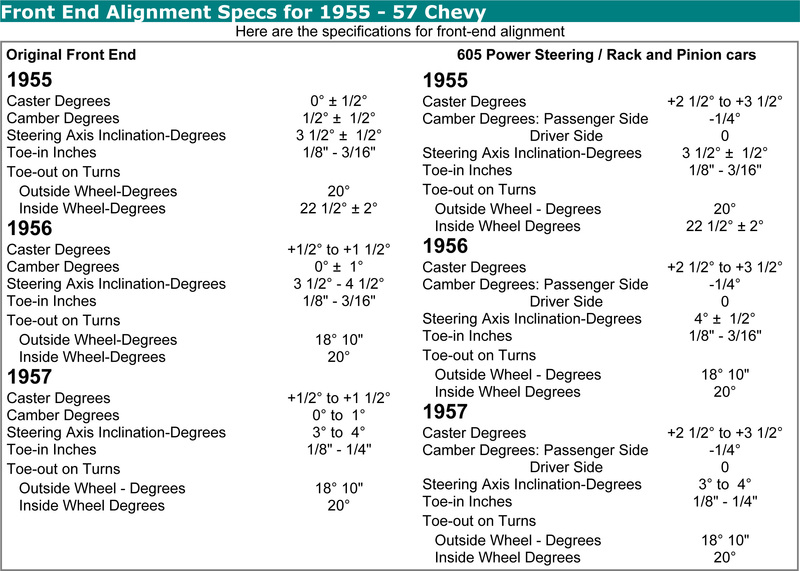 We are often asked how to identify the various models or body styles of 1955 Chevy’s. This handy chart makes it almost foolproof. Ever wonder what that tag on the rear end was for? It was an easy way for technicians to ID the rear end and axle ratio at a glance while working on the cars. And now you know.